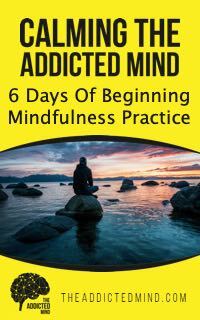 Welcome to the Addicted Mind Podcast. 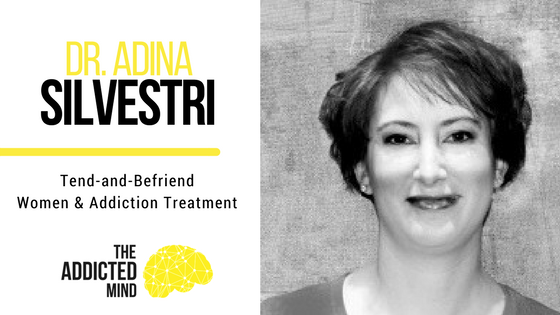 Today, we are delighted to bring you the wisdom and expertise of Dr. Adina Silvestri, EdD, LPC as she talks about her research on women seeking addiction treatment. Dr. Adina Silvestri is a licensed Professional Counselor in Richmond, Virginia and the founder of Life Cycles Counseling. One of her specialties is helping women that are struggling with substance abuse recover from shame to find hope and healing. In this podcast, she discussed how it is important to support women with a relational focused treatment approach as opposed to using a confrontational style. She uses the adage, “tend and befriend” when beginning substance abuse treatment for women as she has determined that style helps women decrease the stress hormone cortisol. She also discusses how it is difficult for many women to get support because they are often the primary caregivers for children. The complicated issues around finding child care to allow women to participate in substance abuse treatment add to this difficulty. Often women leave treatment early because of child care issues. This creates a consistent problem with women trying to build a recovery support network. Dr. Silvestri reports that often women are not supported by their partners when seeking help. She reports that it is common for women to be introduced to addictive substances by their partner. She states that getting treatment can often cause relationships to break down as one person seeks recovery and the other does not. This results in circumstances in which partner does not support treatment. She also found in her research that women often put off seeking treatment for approximately four years, adding to the compounding difficulty of getting recovery. Dr. Silvestri encourages all women who are struggling with this issue to reach out for help and tell somebody. Barriers to treatment such as child care and pregnancy. Fear of losing custody of their children. A lack of insurance and employment. How women may present differently when starting treatment. The role of shame and cultural stereotypes. The importance of relational treatment when working with women in an addiction treatment program. The increased potential for sexual exploitation. Thank you Dr Silvestri for your insight and wisdom regarding women and addition. I must admit that I for one did not realizes how much more difficult it can be for women in our society who struggle with addiction. Great advise as a “first step” is to confide in someone you trust.